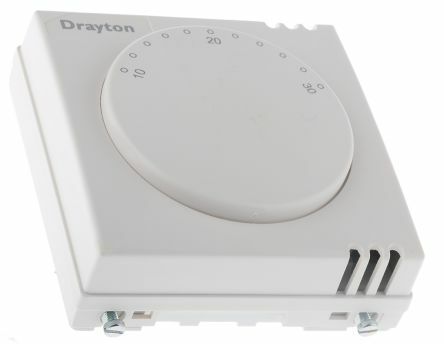 HVAC sensors and controllers are the brains of your heating, ventilation and air conditioning (HVAC) system. They can be set up to perform an array of programmable tasks automatically, giving you full control over climate preferences, environmental comfort and efficiency settings at the push of a button or turn of a dial. 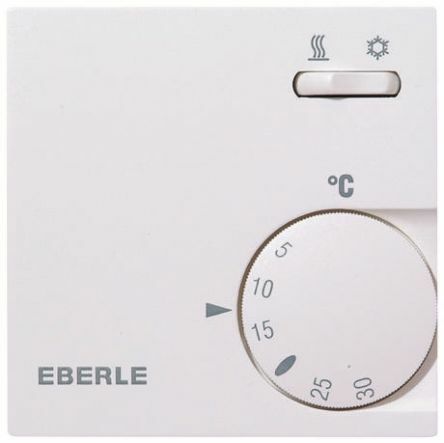 We stock various heating and hot water programmers, humidistats, thermostats, wiring centres and temperature sensors from leading brands such as Honeywell, Eberle and Theben, as well as Schneider advanced wireless room controllers. What do different types of HVAC sensors and controllers offer? Digital HVAC heating thermostats give you the ability to fine-tune various climate settings and parameters in your heating, ventilation and air conditioning systems to the precise degree. They also provide fully programmable optimisation of year-round heating efficiency and auto-shutoff modes, which can help to lower your annual heating bills considerably. Our products from quality manufacturers such as Honeywell and Danfoss offer a number of advanced features, such as manual override, holiday modes, backlight LCD touchscreens, real-time usage display info, and even WiFi communication with HVAC units for a cleaner install. Suitable for both domestic and commercial use. 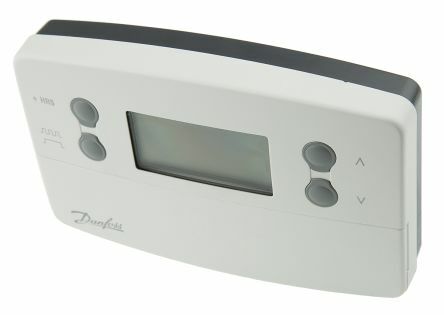 Humidistats work in a similar way to the more familiar thermostats - but rather than controlling temperatures, they regulate the humidity of an enclosed environment such as a household room or office space when connected to a suitable HVAC system. Humidity changes drastically with seasons and environmental conditions, and its important to maintain appropriate humidity levels for good health both at home and in work. Humidity levels are usually expressed as a percentage, and maintaining a setting of between 35% and 45% is typically advised for general purposes. Temperature sensors are sold in a variety of configurations, suitable for use with most air conditioning and HVAC control systems. The most common types are thermistors and PT100 sensors. Thermistors are degradable components that require replacement on a 2-3 year cycle, while PT100 tend to offer greater accuracy and stability over extended use, but can be more expensive and offer slower response times. 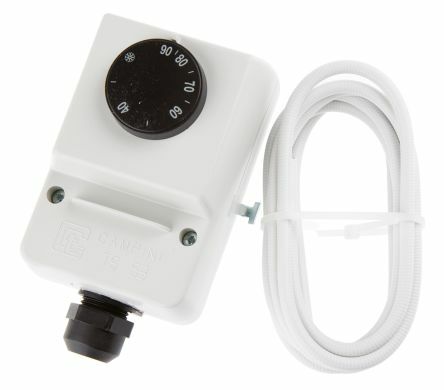 Temperature sensors are available in different formats for specific environments, including duct air, space air, outside air, liquid immersion and pipe-clamp varieties.